Cesar Chavez was a Mexican-American labor leader and the founder of the National Farm Workers Association (NFWA). The NFWA was the first union of farm workers in America. Chavez said, “From the depth of need and despair, people can work together, can organize themselves to solve their own problems and fill their own needs with dignity and strength.” At the age of 15, Cesar realized that farm owners and contractors exploited migrant farm workers and he spoke out on behalf of the workers for higher wages and better working conditions, even as some of the workers did not share his views because they did not want to lose their jobs. 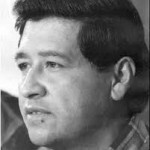 However, in 1970, Chavez was imprisoned for about 20 days at the Monterey County Jail for refusing to end lettuce boycotts against Salinas Valley. Chavez and the United Farm Workers Organizing Committee (UFWOC) had embarked on a strike in support of better working conditions for lettuce migrant workers. Chavez was motivated by the work of St. Francis of Assisi and Mohandas K. Gandhi. He devoted himself to helping the poor through non-violence. He emulated the non-violence approach; he used strikes, boycotts, pickets, fasts, and marches to lead farm workers through years of struggle to win better working conditions for farm workers. Chavez maintained that “in some cases non-violence requires more militancy than violence.” He also added that our lives are all that really belong to us and it is how we use our lives that determine what kind of men we are. Cesar in his lifetime did not own a car or a house; he dedicated his life and struggle to fighting for the poor migrant farm workers. Martin Luther King Jr., in a letter in support of Cesar’s struggle, said “Our separate struggles are really one. A struggle for freedom, for dignity, and for humanity.” Cesar was honored with the Aztec Eagle, Mexico’s highest civilian award given to people of Mexican heritage who make major contributions outside of Mexico. Cesar also received the Presidential Medal of Freedom. He was the second Mexican to receive the award from an American president. The Cesar E. Chavez Foundation has also been set up to promote the civil rights ideals of Cesar E. Chavez. “On Charity As a Form of Protest – Moderate Majority,” accessed December 30, 2013, http://www.moderatemajorityusa.org/on_charity_as_a_form_of_protest. “IMA Hero: Cesar E. Chavez Biography,” accessed December 22, 2013, http://www.imahero.com/is/bios/cesarchavez.html. 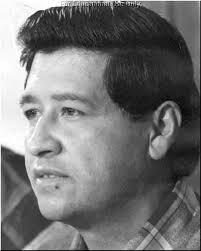 “Cesar Chavez a Forgotten Memory?,” accessed December 22, 2013, http://cesarchavez93.wordpress.com/. “Marxist education:Education by Freire,” accessed December 30, 2013, http://tx.cpusa.org/school/classics/freire.htm. “Honoring César Chávez .. Could Be an Opportunity for Reparation. Sí Se Puede ‘Yes, We Can’ | The Culture Zone,” accessed December 22, 2013, http://www.theculturezone.com/faith/honoring-cesar-chavez-could-be-an-opportunity-for-reparation-si-se-puede-yes-we-can. I“Honoring César Chávez .. Could Be an Opportunity for Reparation. Sí Se Puede ‘Yes, We Can’ | The Culture Zone,” accessed December 22, 2013, http://www.theculturezone.com/faith/honoring-cesar-chavez-could-be-an-opportunity-for-reparation-si-se-puede-yes-we-can. “In Some Cases Non-Violence … by Cesar Chavez, an American Activist | GoodQuotes.com,” accessed December 30, 2013, http://www.goodquotes.com/quote/cesar-chavez/in-some-cases-non-violence-requires-mo. “Dr. Martin Luther King, Jr.’s Legacy: Human Dignity and Respect for All,” accessed December 30, 2013, http://www.seiu.org/2013/04/dr-martin-luther-kings-legacy-human-dignity-and-re.php.